G.C. Indoor Sports & Recreation is a local, family owned and operated business with decades of experience in multiple service industries. We have long lasting ties to the Treasure Coast community and are happy to call it home. Collectively, we have over 30 years of experience in the athletic industry, including: coaching, training, and refereeing in a multitude of sports. We specialize in sport development for all ages and the athlete enthusiasts. Our tournament planning team will ensure a well-organized and sophisticated layout for all tournaments. With our two, 5,000 square feet, state of the art multi-purpose turf fields, we guarantee a safe and competitive ground for any sport. The enclosed netted fields and high ceiling lighting will ensure a competitive like environment. Our air-conditioned facility will keep every family and sport enthusiast comfortable during any season of the year. G.C. Indoor Sports & Recreation’s mission statement is to provide a safe and competitive location for the community. With state of the art multi-purpose turf fields and materials, we will provide the necessary training ground and competitive environment that best suits all forms of professional, semi-pro, and recreational athletes. With our rules and regulations, we will insure a safe and social friendly environment to all people within our sporting complex. Our goal is to provide a club like setting to our customers. G.C. 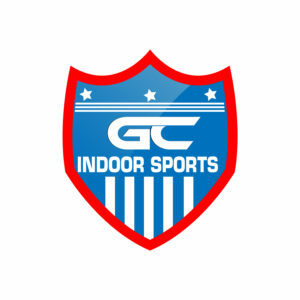 Indoor Sports & Recreation strives to become the top indoor sports complex in the treasure coast area.